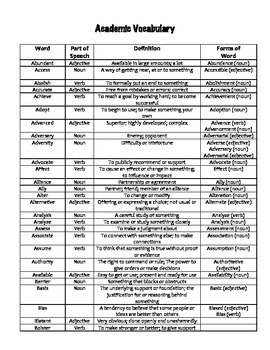 This comprehensive list of academic vocabulary is great for students reading below grade level (including English language learners)! While designed for students in a World History 1 class, the words can be applied across curriculums to enhance a student's ability to understand all subjects. Definitions are written at a lower level and different forms of the word are included. 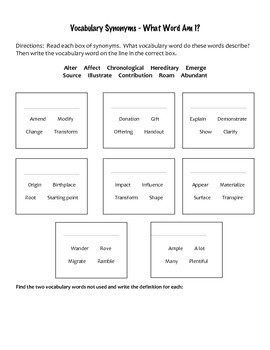 Can be used as a student dictionary or broken down into weekly vocabulary lessons. 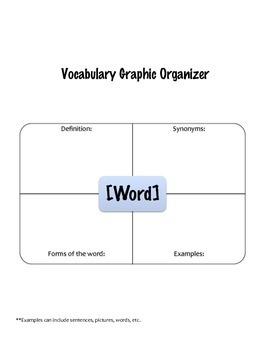 I've also included various activities including a graphic organizer, "synonym squares", fill-in-the-blanks, a quiz. Not only does this helped to improve my students' comprehension in my class (as well as scores on standardized tests), but it has greatly helped to increase students' overall literacy skills! If you'd like an editable version, please feel free to contact me and I'd be happy to provide one!